Mainly a list of past projects. For a more complete portfolio of works, please visit my portfolio page (password required - contact me if you need it). Garry Point Ventures Co., Ltd. (GPV) is a boutique consultancy specializing in building web businesses for small businesses. GPV has also allowed me to dabble in some side projects and spend time pursuing my passion for the science of learning. In Japanese anime piku is the sound that occurs the moment one is surprised or startled. 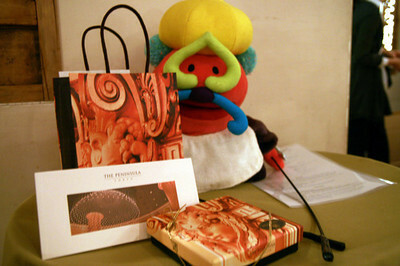 The brand Piku and character Pikuchan represented the surprising awesomeness of the discounted experiences being offered. Piku established partnerships with the largest national restaurant directory (a publicly listed company) and one of the largest convenience store chains in Japan. Piku was featured on national TV, magazines and newspaper media - from World Business Satellite and Nikkei Shimbun to TechCrunch Japan. 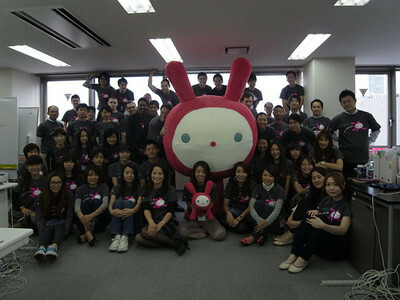 Piku grew to over 100 staff, and expanded nationally (Tokyo, Osaka, Nagoya, Shizuoka, Hiroshima, Fukuoka, Sendai, Sapporo). The shrinking of the staff was just as rapid of the growth, but not nearly as fun. 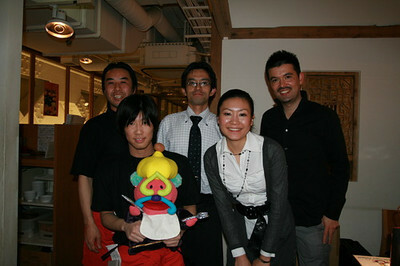 Piku was Japan’s first daily deal website. Quickly funded by both Japanese and international venture capital firms, Piku grew to several million in revenue and attracted a subscriber base that ran into the hundreds of thousands in less than a year. The Piku experience was one of extremes - both highs and lows. When a planned round of financing didn't materialize - due to stalling growth - Piku shrank as fast as it grew. The founding of English OK was ignited as a result of a personal experience with a business in Tokyo that refused to provide service to 'foreigners' in Japan. English OK was a proposed solution with its customer service and language training programs built to improve cross-cultural communication and its marketing services (online directory, events, benefits program) to help the businesses willing to provide service to the international community succeed. "English OK! 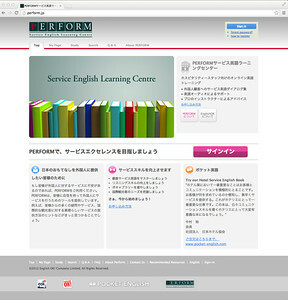 is an English school for the service industry." "Understanding and valuing the idea of hospitality, English OK! provides highly detailed materials for the needs of each industry." "(English OK) wants to make Japan a more foreign tourist- friendly country." "Improve the cross-cultural communication for service businesses." 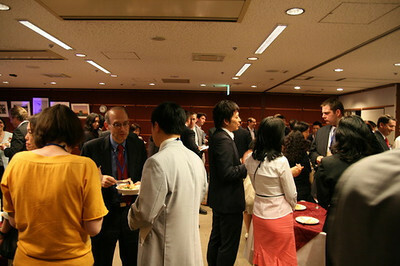 EA-Tokyo was a non-profit organization founded in 2003 to support entrepreneurship in Japan through the organization of educational seminars and networking opportunities. The events, costing JPY3,500 to JPY7,000, included a presentation by a successful entrepreneur followed by a light dinner and networking. 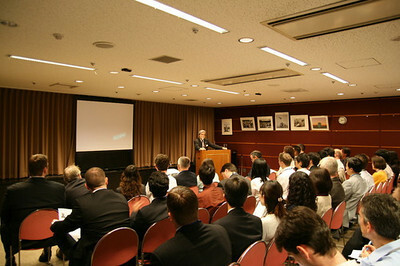 For the first couple of years, the seminars were held at The City Club of Tokyo in the Canadian Embassy building before moving to the Foreign Correspondents' Club of Japan. Special events were also held at the head office of Shinsei Bank, on the campus of Globis Japan, and as a part of Global Entrepreneur Week in Tokyo. The featured entrepreneurs, both Japanese and non-Japanese, came from a range of industries - IT, Marketing, Finance, Anime, Retail, Food & Beverage - and revealed their unique paths to success in Japan. Started with minimal funds (basically pocket change), EA-Tokyo thrived for seven years due to a team of dedicated volunteers and corporate sponsors including Regus (office rentals) and McGill Japan (university). Soon after meeting my future business partner, Dave Mori, we decided that we wanted to start a business together in Tokyo. As Dave was doing a lot of the initial legwork, he realized that there were few resources and little support for entrepreneurs in Tokyo (in 2002 - things have changed now). 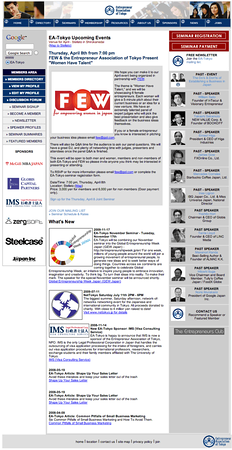 Thus, he initiated our first collaboration - The Entrepreneur Association of Tokyo - a not-for-profit organization. 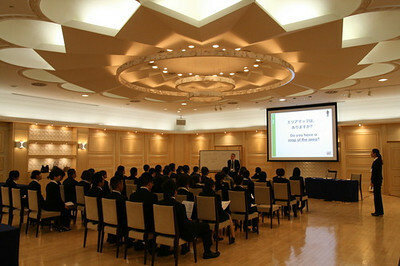 Founded in 2003, the Entrepreneur Association of Tokyo ran 60 seminars supporting entrepreneurs over 7 years that were attended by more than 1,500 participants. Kudos was an existing corporate benefits program that was purchased by English OK! in 2009. The program served the expat community in Japan (embassy staff , chambers of commerce, international companies) and was revamped to include luxury partners such as 5-star hotels and multiple Michelin-starred restaurants. 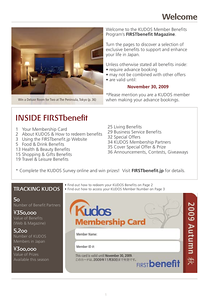 Kudos was acquired in 2009 in response to the financial crisis that hit in 2008. The 'Lehman Shock' as it was called in Japan significantly affected English OK's training revenue as hospitality businesses froze hiring and paused training contracts in their bids to wait things out. Since English OK! 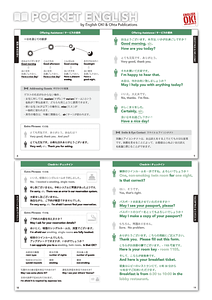 had relationships with service providers in Japan, the Kudos program provided a product that English OK! could quickly generate revenue from to make up for the lost contracts. The re-launch of Kudos was an event coordinated with a major sponsor - Grey Goose - and featured Grey Goose’s global ambassador, Dimitri Lezinska, behind the bar. Although producing a quarterly benefits magazine was fun, it generated unnecessary waste and wasn't sustainable with the compact operational team at English OK. 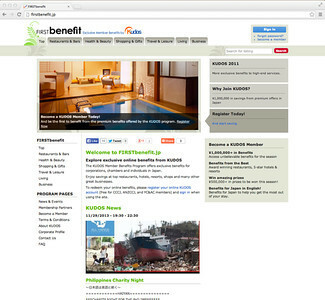 The benefits program was transitioned online where English OK began testing time-limited and quantity limited online benefits to uncover the types of deals that performed best (knowledge that led to the subsequent venture that followed). Kudos was acquired in 2009 in response to the financial crisis that hit in 2008. The 'Lehman Shock' as it was called in Japan significantly affected English OK's training revenue as hospitality businesses froze hiring and paused training contracts in their bids to wait things out. Since English OK had established relationships with service providers in Japan, the Kudos program provided a product that English OK could quickly generate revenue from to make up for the lost contracts (and keep its staff employed). 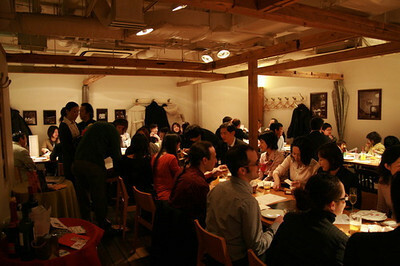 For many of the Gourmet Nights, like this one in Kichijoji, we booked out the entire restaurant to fill with diners. Gourmet Nights raised money and awareness for local and international charities such as Make-A-Wish of Japan, The Big Issue Japan, Room to Read, and Save the Children. The czar of Gourmet Nights was a custom-crafted puppet - Don Munchie. 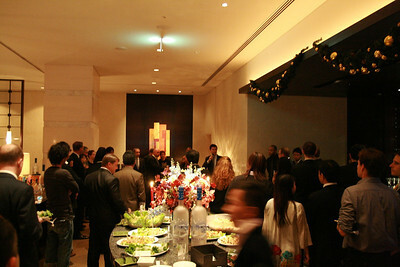 Every Gourmet Night featured a prize raffle with prizes donated from both local and international businesses. 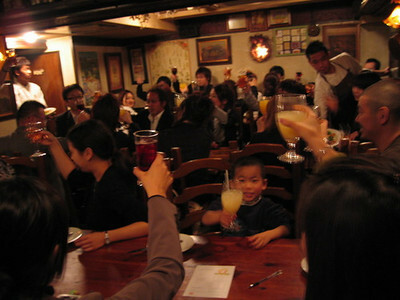 Between 2005 and 2008, twenty-four charity dinner events were held in Tokyo to raise funds for international and domestic charities. Gourmet Nights promoted local businesses - hosts and prize sponsors - created a mixed international and Japanese community, and raised funds for worthy causes. 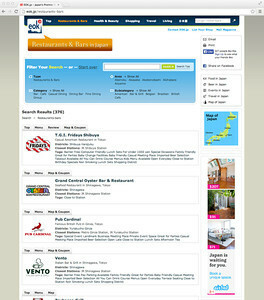 EOK.jp only featured approved listings and hosted hundreds of listings for businesses (mostly paid for) throughout Japan. 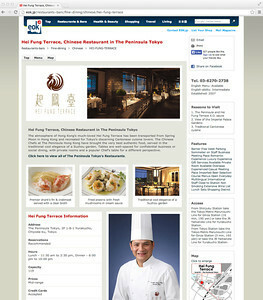 Many businesses used their EOK.jp listings as their official English websites. The directory was built to promote businesses in Japan that were willing to provide service to the international community. EOK.jp featured all kinds of businesses including luxury hotels, Michelin-starred restaurants, and popular chains such as Tully's Japan, TGI Fridays, and HUB British Pubs. EOK.jp listings ranged from one to four pages with many shops offering coupons. The directory was even Japanese mobile friendly in the days before smartphones - which was a significant accomplishment in itself. EOK.jp was built as Japan was making its push to attract international visitors through the Yokoso Japan initiative. 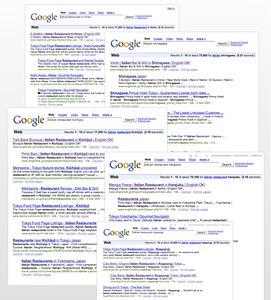 The combination of little information being available online for visitors and the good fortune of having collaborated with a leading SEO tuning agency, EOK.jp was able to consistently rank at the top of search results for its listed shops. 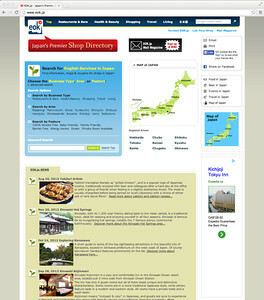 EOK.jp - Japan's Premier Shop Directory launched in 2005 - played the leading role in English OK's promotional services (until Kudos came along). The directory was set up to take advantage of our growing web business building knowledge, to deepen the relationships with our training clients, and to ultimately promote the businesses in Japan that were willing to provide service to the international community. 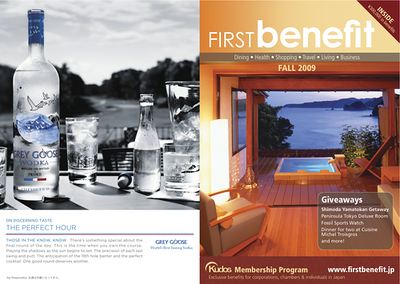 BCD was a Tokyo-based Boutique Web Design Agency that provided both consulting and web development services. 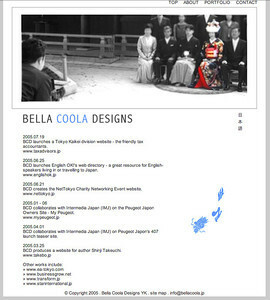 We used the name 'Bella Coola Designs' as most Japanese interpreted it to mean 'Beautiful Cool Designs.' The Canadians we met were a little surprised by the name choice - although beautiful and cool (as in cold) are likely apt descriptions of the region. Large clients paid the bills and the work with entrepreneurs just starting out brought the enjoyment. After a couple of years of toiling around building websites as a freelancer an opportunity to contribute to a large corporation's website arose. BCD was founded to allow me to work on the project as most Japanese companies would only work with registered corporations and not freelancers. BCD exceeded expectations and ended up working on loyalty and promotional sites for well-known automotive, entertainment and government organizations - and proved to be an ideal training ground for future online business endeavours.